Below you fill find all funeral homes and cemeteries in or near Meredith. Their current mayor is Mayor Nate Torr. Zip codes in the city: 03253. Belknap County funeral flowers can be purchased from one of the local funeral shops we partner with. Some of the notable people born here have been: Bradford Anderson (actor). Meredith is a town in Belknap County, New Hampshire, USA. The population was 6,241 at the 2010 census. Meredith is situated beside Lake Winnipesaukee. It is home to the Stonedam Island Natural Area and the Winnipesaukee Scenic Railroad. Meredith is the site of the annual Great Rotary Fishing Derby.The primary village in town, where 1,718 people resided at the 2010 census, is defined as the Meredith census-designated place (CDP), and is located at the junction of U.S. Route 3 and New Hampshire Route 25 at the head of Meredith Bay on Lake Winnipesaukee. It was revealed on March 11th, 2018 that Donald W Smith passed away in Meredith, New Hampshire. Smith was 87 years old and was born in Ansonia, CT. Send flowers to express your sympathy and honor Donald W's life. It was reported on December 22nd, 2017 that Evelyn C Hamilton (Gumkowski) passed away in Meredith, New Hampshire. Ms. Hamilton was 92 years old and was born in Branford, CT. Send flowers to share your condolences and honor Evelyn C's life. It was written on December 15th, 2017 that Evelyn C Hamilton (Gumkowski) died in Meredith, New Hampshire. Ms. Hamilton was 92 years old and was born in Branford, CT. Send flowers to share your condolences and honor Evelyn C's life. It was disclosed on January 12th, 2017 that Rose Mary Myers (Howard) passed away in Meredith, New Hampshire. Ms. Myers was 84 years old and was born in Eureka, MO. Send flowers to share your condolences and honor Rose Mary's life. It was reported on March 1st, 2016 that Frances Johnson passed away in Meredith, New Hampshire. Johnson was 68 years old. Send flowers to share your condolences and honor Frances's life. It was noted on September 9th, 2014 that Dell Marie MacLean died in Meredith, New Hampshire. MacLean was 88 years old and was born in Worcester, MA. Send flowers to express your sympathy and honor Dell Marie's life. It was reported on February 2nd, 2014 that Mary "May" Prior (Jackson) passed away in Meredith, New Hampshire. Ms. Prior was 91 years old. Send flowers to share your condolences and honor Mary "May"'s life. It was noted by Worcester Telegram & Gazette on May 8th, 2013 that Carl F Sr Lapoint passed away in Leominster, Massachusetts. Lapoint was 79 years old and was born in Meredith, NH. Send flowers to express your sympathy and honor Carl F Sr's life. It was noted on May 2nd, 2013 that Linda Lee Ellis passed away in Meredith, New Hampshire. Ellis was 69 years old and was born in Riverdale, MD. Send flowers to share your condolences and honor Linda Lee's life. It was revealed on March 26th, 2013 that Meredith J Bergeron died in Meredith, New Hampshire. Bergeron was 22 years old and was born in Dorchester, MA. Send flowers to express your sorrow and honor Meredith J's life. It was settled in 1766 by Jacob Eaton and Colonel Ebenezer Smith, then regranted in 1768 by Governor John Wentworth (governor) Wentworth and named after William Meredith William Meredith, 3rd Baronet, a member of British Parliament who opposed taxation on the American Colonies Farmers grew Maize wheat, rye and potatoes, but the area became noted for apple orchards. The population was 5,943 at the 2000 census. Passengers also arrived from the Alton Bay, New Hampshire Bay depot aboard steamboats, the most famous of which was the original MS Mount Washington 'Mount Washington', launched in 1872. 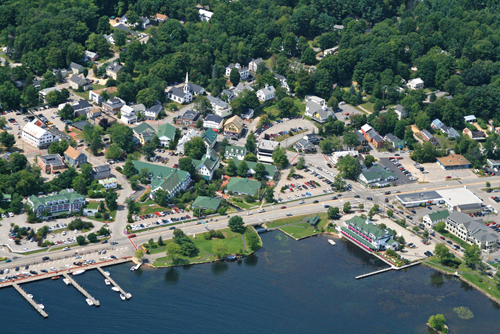 Meredith is situated beside Lake Winnipesaukee. Many grantees were from Salem, Massachusetts, so Palmer's Town was renamed New Salem. The official website for the city of Meredith is http://www.meredithnh.org. It's going to be lovely," said Mrs. Berry of the garden that will include a New Hampshire shaped rock in the stone wall. Shawn Stuart of Stuart's Landscaping in Meredith Center is ... the body to Wilkinson-Bean Funeral Home, Berry recounted. Need flowers delivered to a funeral home? It's easy to find a Meredith, NH funeral home from this list and call YOUR NEIGHBORHOOD FLORIST. Listing all funeral homes in Meredith, New Hampshire so you can easily send flowers to any location (same day delivery) or find any funeral service. Funerals in Meredith, NH on Yahoo! Local Get Ratings & Reviews on Funerals with Photos, Maps, Driving Directions and more. Find a Funeral Home inMeredith, New Hampshire NH to provide the caring burial and ceremonial services your family deserves. We work with local florists and flower shops to offer same day delivery. You will find budget sympathy flowers in Meredith here. Our funeral flowers are cheap in price but not in value.